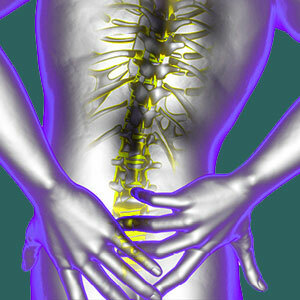 Suffering a hypermobile sacroiliac joint can create instability and chronic pain. In some instances, the whole joint can lose structural integrity and fail to perform as expected. The result might be complete disability. However, this is an extreme example and most cases of hypermobility will not progress to such symptomatic degrees. In fact, most hypermobility profiles can be cured with proper application of nonsurgical interventions. Hypermobility of the sacroiliac can be created by a variety of very different causative mechanisms, including some that are considered normal parts of life. Treatment may differ from each cause to the next, so ascertaining the exact nature of each pain syndrome is of paramount importance for doctors and patients alike. This focused dissertation examines hypermobile sacroiliac problems. We will discuss the causes of SIJ hypermobility, as well as the most effective therapy options. Hypermobility describes a condition of excessive and abnormal movement in the sacroiliac structure. Instead of having a normal (very limited) range of motion, the joint moves more freely and therefore is not as strong or capable of performing its fundamental functions in the adult anatomy. In essence, the joint struggles to support the leg and integrate its movement into the torso via the pelvis and sacrum. Hypermobility can be tested for, but is a subjective determination, especially since each individual demonstrates unique degrees of movement in their sacroiliac joint as a normal part of their physicality. People who are very athletic, perform yoga, gymnastics or martial arts are known to have hypermobile joints that are not pathological or painful in any way. Pathological hypermobility is defined as conditions where the ligaments lose their ability to regulate the joint properly, causing varying degrees of discomfort upon common activities, such as standing, walking, climbing stairs and transitioning between seated and standing or seated and reclining postures. The diagnosis for this type of excessive movement is sacroiliac joint dysfunction. Pregnancy and child birth can cause the ligaments to become lax in response to female hormones, such as relaxin. It is well known that multiple pregnancies and births increase the chance for sacroiliac joint dysfunction in women. Obesity can exponentially degenerate the joint itself, as well as wear on the regulating ligaments, potentially causing laxity, especially in sedentary individuals. Muscle imbalances can very rarely result in ligamentous laxity when certain muscle deficiencies disrupt the balance of the joint. Injury to the ligaments of the SIJ might create lasting deficits in tension that might lead to hypermobility. Ligamentous laxity is usually very treatable using a variety of conservative and moderate therapy options. While there are other therapies available, we focus on the three below, since they are curative, rather than symptomatic and demonstrate objective evidence of efficacy in large patient populations. Physical therapy is the gold standard for care, with patients employing a diversity of exercises and stretches to recondition the ligament back into proper working order. Patients might also choose to perform self-managed exercise programs, such as yoga or Pilates to help rehabilitate the SI joint. Prolotherapy injections have been known to be very effective for some patients. The natural irritant in these injections is safe and causes a reaction of natural healing that tends to tighten affected ligamentous tissues permanently without any drugs needed. 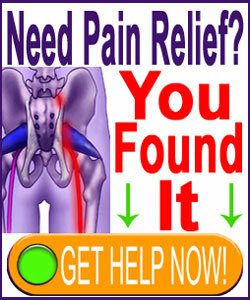 If these measures do not succeed, sacroiliac surgery might be offered. Surgical tensioning of damaged ligaments is usually minimally invasive, well-tolerated and highly effective. Best of all, it preserves normal SI joint functionality, as opposed to joint fixation via fusion operations.